Mumbai, Nov 1 (IANS) Former Indian Navy aircraft carrier, the INS Viraat, will be reincarnated as a floating museum at an estimated cost of Rs 852 crore, Maharashtra Chief Minister Devendra Fadnavis said on Thursday. INS Viraat, which holds place of pride in Indian defence history, was decommissioned in March 2017 and since then has been laid up at the Naval Dockyard here. The decision to convert it into a museum and to highlight its glorious history was approved by the state cabinet meeting presided over by Fadnavis. The project will be implemented on a public-private partnership mode and a preliminary proposal for this has already been submitted for the Defence Ministry's approval. Fadnavis said 'Viraat' will be housed on a concrete foundation near the Arabian Sea at the Golden Rocks on Nivati Beach in Sindhudurg district, around 535 km south of Mumbai, near the Goa border. The 'Viraat' complex would include other facilities such as adventures, sailing, skydiving and marine training for merchant sailors. The main museum would be a major attraction for tourists who flock to Sindhudurg, ranked among the cleanest districts in the country. The Viraat museum will feature facilities related to the marine world, audio-visual programmes, a virtual hall displaying marine history and other attractions. 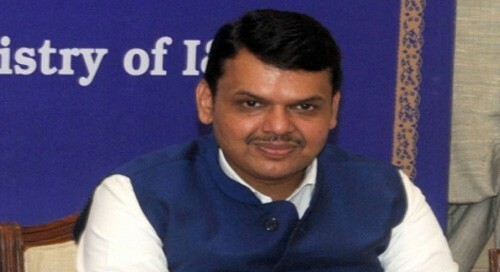 Fadnavis said a committee headed by the Chief Secretary will work out the modalities of the PPP contract and other details for the project. Commissioned in 1959 as the Britain's Royal Navy's HMS Hermes, it was bought by India and then commissioned into the Navy as 'INS Viraat' in 1987. The 226.50 metres long, 28,700 tonnes (fully loaded) aircraft carrier served the Navy for almost three decades before being de-commissioned last year. India's maiden aircraft carrier, the 'INS Vikrant' which was decommissioned in January 1997, served as a museum ship in south Mumbai till 2012. Later, after all efforts to save and preserve it failed, mainly due to resources crunch, it was finally auctioned and sold as scrap in 2014.